Wednesday August 1, 2018 - The political feud between former allies turned foes-Ford Kenya's Moses Wetang'ula and his ODM counterpart, Raila Odinga - is far from over at least from their carefully worded remarks. Speaking during an interview yesterday, Raila claimed that he unsuccessfully attempted to reach out to Wetang'ula in a bid to mend their severed ties but the Bungoma Senator won’t let him. He snubbed him and never answers his calls. But in a quick response, Wetangula termed Raila’s allegation as a fat lie, claiming that Raila stands for nothing and will definitely fall for anything, especially if it gets him more money and power - no wonder he joined the Jubilee Government. 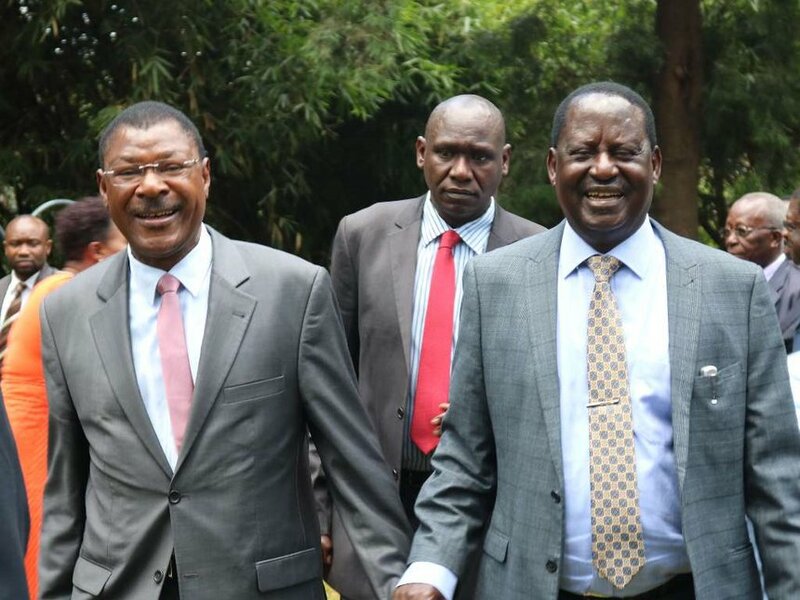 “Watch out for villains masquerading as people who can save our country," Wetangula said. During the interview, Raila also termed as untrue claims that he was supposed to call co-principals Kalonzo Musyoka, Musalia Mudavadi and Wetang'ula before they could proceed to Uhuru Park for his mock swearing in as People's President. “So when I realised it was getting late and others were not ready, I decided to go alone," Raila said.